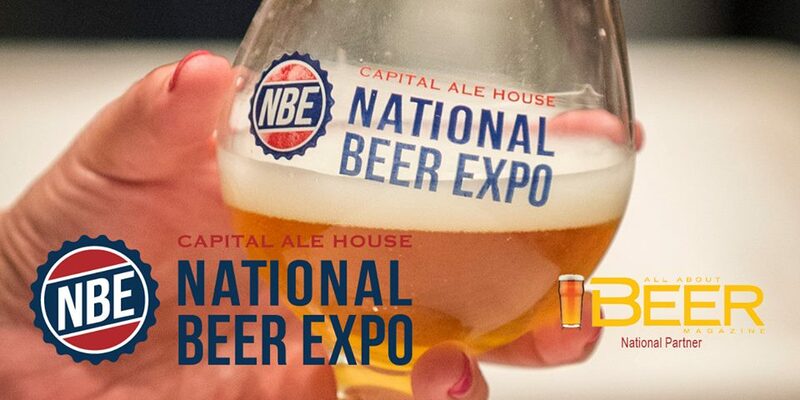 The National Beer Expo returns to Richmond for the second year this week from Thursday July 16th to Saturday July 18th. The Grand Tasting on Saturday July 18th will allow you to sample over 150 craft beers; take look at the list of breweries here. VIP admission gets you in two hours early plus a few exclusive tastes for $54 versus $42 for general admission. Check out the main ticket page for combo options to save some money. There will be a limited allocation of VIP/Early Admission tickets so that this two hour period will offer incredibly fast access to all exhibitors and beer at the Expo and the opportunity to taste all of the cask beers before they are gone. Head over to Julep’s new location for an amazing, luscious farm-to-table brunch featuring fresh, local ingredients. Served with a flight of locally-made craft beers as well as locally brewed coffee, this is an ideal way to start your day before you attend the Saturday Walk-Around Grand Tasting. You will have time to enjoy FlapJack and walk to the Walk-Around Grand Tasting afterwards at the Greater Richmond Convention Center. If you’re looking to learn the latest on Stone Brewing’s new facility coming to Richmond in 2016, this would be the place to do it. Jason Armstrong, National Sales Director, and Pat Tiernan, COO, will guide you through a tasting of Stone’s beers as they explain what is to come for the massive destination Stone is building. History and craft beer go amazingly well together. It’s been 40 years since the first post-prohibition microbrewery opened in the United States, but craft beer is only now hitting it’s stride. There are now more than 3,500 small breweries opening in the country, and they are producing some of the most flavorful and innovative brews that have ever been created. Join All About Beer Magazine editor John Holl for a guided tasting through the world of craft beer, with interesting facts, colorful stories, and a look at why beer matters. Are you a sour head or just getting into sour beers? Then this seminar is especially for you. What’s with all the recent hype around sour beers? Join Michael Tonsmeire (author of American Sour Beers) for a tasting and discussion about tart and funky beers. This is what all beers were before Pasteur, stainless steel, hops, and refrigeration. They are the heirloom, foraged, farm-to-table, artisan beverage of the first 8,800 years of beer’s 9,000 year existence. Come learn about their extraordinary flavors and production. Learn about the growth of Virginia craft beer from the people making it. Go behind the scenes of Virginia beer on this lively panel discussion lead by All About Beer Magazine editor John Holl. The panel will be comprised of a variety of head brewers and owners from very diverse backgrounds. Lean about brewpubs, production breweries and trailblazers and how they have build their companies to put beer in your glass.